The more attentive among you will have noticed there was no article on the top 10 cards for Gentry from Ixalan, and that is because, honestly, I just couldn’t, for the life of me, reach 10 cards. 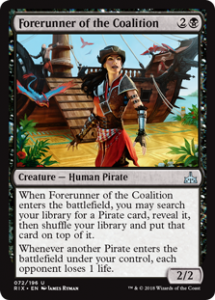 Rivals of Ixalan has been released now and I had high hopes, it just seemed like so much of the themes that were introduced in Ixalan wer missing just that little bit of oomph to make them work in Gentry. And Oomph we got, maybe even more oomph than anyone dared ask for. 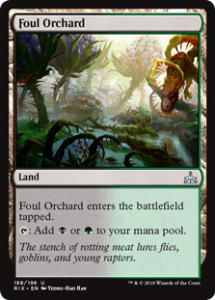 Before we delve into the gold mine that is Rivals of Ixalan, lets highlight a few cards from the previous set. 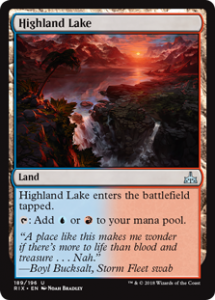 Favorable winds created a new archetype around itself, be in in mono blue or splashing white or black, someone sleeved up a deck like this and realized it is crazy aggressive, consistent and versatile. 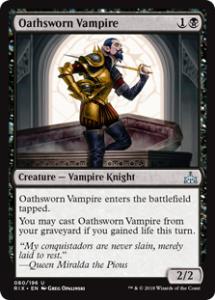 Ruthless Knave was a dream come true for Hidden Stockpile decks and if it weren’t for people already being prepared for Stockpile, this archetype would have surely swept through our metagame with this addition. Legion Conquistador and Adanto Vanguard stepped in to fill the void Thraben Inspector left in Oketra’s Monument decks. These have now become more resilient to removal thanks to these two additions. 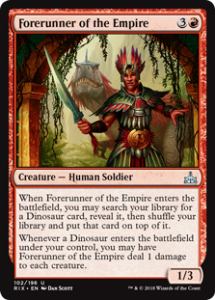 Charging Monstrosaur and Raging Swordtooth stepped in to lead Dinosaur decks into the meta as the only Ixalan focused decks that were seen in multiple months. 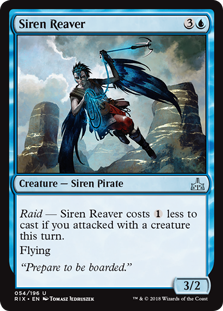 And finally, we have Opt and Spell Pierce giving blue decks better options to control the board and smoothing their draws while black got their good old Friend Duress again to fight all that interaction on the stack. And then there are tons of cards that could have spawned interesting decks but just did not have the support they needed. 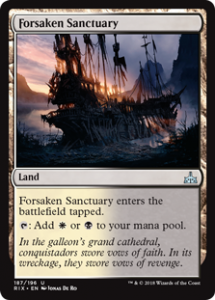 Cards like Bishop of the Bloodstained, Dire Fleet Captain, Grim Captain’s Call, Ixalan’s Binding, Lurking Chupacabra, Marauding Looter, March of the Drowned, and many more were lacking support or had better alternatives in other rarities or sets. 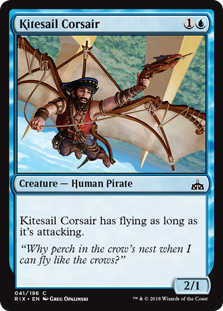 Most of cards like this are just waiting for the right cards to be build around or for rotation, when Ixalan will be the oldest set in Standard. The Captains. 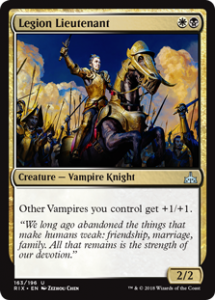 Ok, they don’t have captains in their name, or “lord” which is the term most people use for creatures that buff others with their creature type. This set of four are most likely candidates in your tribal decks. 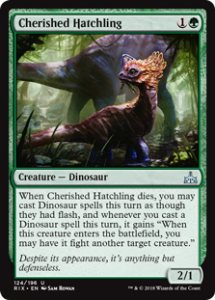 Cherished Hatchling is least likely to be played as Dinosaurs are quite cramped on uncommon slots, but they are also the most played tribe in Gentry currently. I have a feeling they will lose that title but I am not sure to who exactly yet. 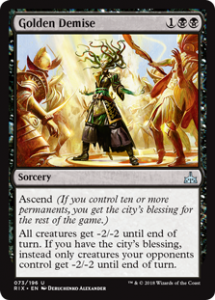 All this talk of Tribal decks and aggressive strategies would make a control deck shiver just a few weeks ago but no more! 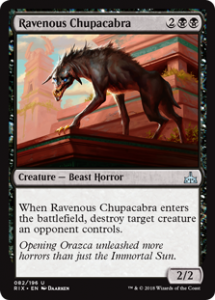 With Ravenous Chupacabra and Golden Demise they have been handed very powerful tools to fight back creature strategies of varying plumage. 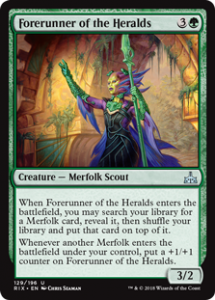 Silvergil adept and Raging Regisaur are solid additions to their respective tribes, and powerful enough to push away other uncommons that some might have considered a lock for any deck in the dinosaur of Merfolk tribe. 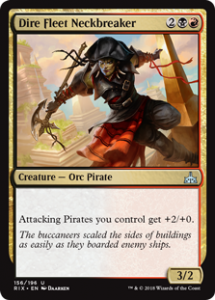 Daring Buccaneer and Buccaneer’s Bravado, in the meantime, firmly shape the base for a Black Red aggro deck that has plenty of options in the Pirate’s bunk to select recruits. 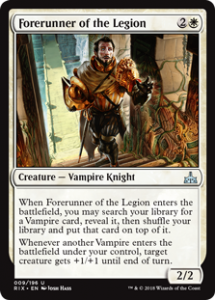 Interesting cards to build around and to support existing archetypes are Curious Obsession, Dusk Legion Zealot and Deadeye Brawler. 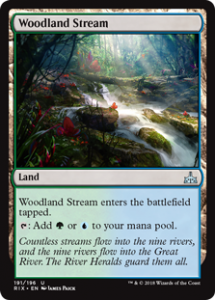 All of them are capable of generating a constant stream of card advantage when put in the right environment. Is that all and anything that is good or playable in Rivals of Ixalan? No, it is definitely not. 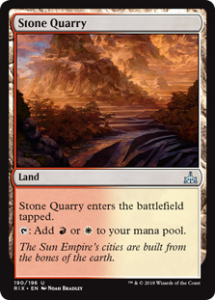 There are tons of other solid additions to Gentry, but they are simply too generic to talk about. Do you think I missed something important? Let me know in the comments.